LEGO City Undercover is going to be massive. Really massive. I had a chance to chat with Loz Doyle, Executive Producer at TT Games who is working on both the Wii U and Nintendo 3DS iterations of LEGO City Undercover, and “massive” was one of the few words that he used several times. How massive? Well, I don’t have brick for brick specifics, but we’ll get to that part in a little bit. Instead, let’s start with what, exactly, LEGO City Undercover is. 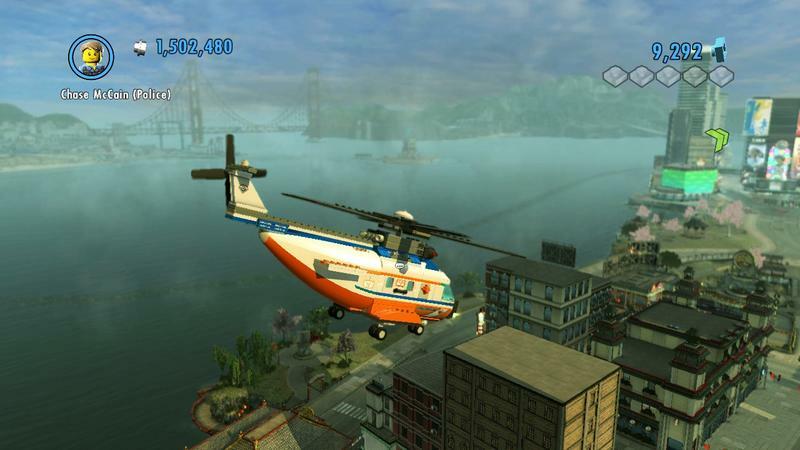 LEGO City Undercover is an open world game set in an environment built around the LEGO City playsets. The Nintendo 3DS entry will be called LEGO City Undercover: The Chase Begins and is set to be, you guessed it, a prequel. But, they also have levels that can be accessed through the city. The Wii U version makes use of the GamePad in key ways. Unfortunately, you won’t have access to the offscreen play feature. However, Doyle gave good reason for that. The GamePad is in constant use throughout play, so taking that action away from players and relegating everything to the physical buttons during offscreen play simply wouldn’t have worked. The 3DS flavor takes place in the same world as the Wii U game, with “the same main character and main bad guy,” Doyle explained. And “there’s different characters between the two versions.” Both games will be open world, and both will feature both similar and system-specific gameplay mechanics. Which brought me to wonder, exactly how big is LEGO City Undercover on the Wii U? “The Wii U version is quite a lot bigger” than the 3DS version, Doyle explained. But how big is that, really? We didn’t get into the full-on specifics of exactly how many four long blocks made up the entire cityscape of LEGO City Undercover, but we did get into the magnitudes of size when compared to other LEGO outings. Loz Doyle explained that most LEGO games take around 12 months to complete. 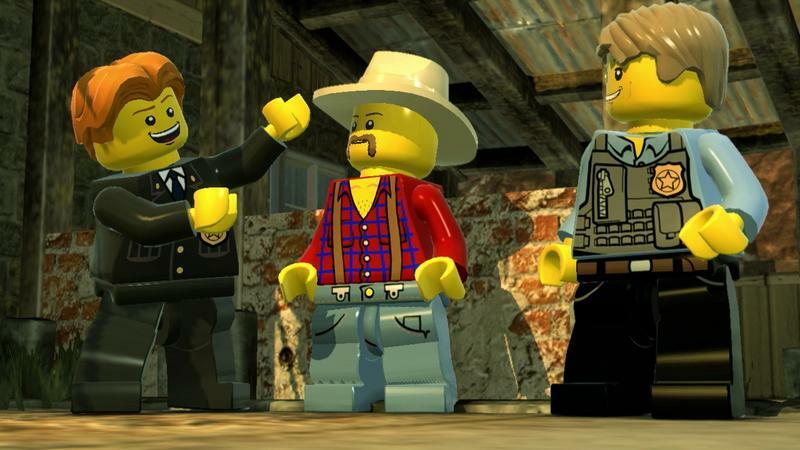 LEGO City Undercover has been in development for more than three years. That’s how big this thing is. “We were creating a big city, and we didn’t want it to just be a way of getting between missions…All across the city, there’s lots of different types of gameplay because we have lots of different types of characters.” Doyle told me that, just like past LEGO games, unlocked characters present new ways of play. Those new ways of play add up to more mechanics and open areas in the city. And each of those character types has objectives around the city. So, for instance, the fireman needs to put out 25 fires and rescue 20 cats. A robber has to smash 30 ATM machines and steal 12 cars. Those types of objectives are part of what takes the city in LEGO City Underground from being more than just a hub world. If you’ve ever played a LEGO game before, then you know that below the charm, silly jokes and simple gameplay is an almost fiendish drive to collect anything and everything. TT Games has gotten really good at teaching players that collecting is awesome, and they’ve blown that heart and soul out on all sides for LEGO City Undercover. Collecting is still awesome, but now there’s just so much of it that it’s practically unbelievable. When the campaign stops, or even while the campaign is rolling, the city stands as a massive playground of events and collectibles. “It’s even got car chases,” Doyle told me. I played it last week, and I was finding areas I’ve never seen before. I’ve been working on it for three years. One of the coolest (or, I suppose, geekiest) moments in my discussion with Doyle centered around LEGO City Undercover’s attention to detail. In case you’ve somehow forgotten, LEGO is all about building. It’s all about recreating real life and fantastic moments with those tiny little bricks that double as parental landmines. It’s important then that LEGO City Undercover let’s gamers recreate those in-game object in real life with LEGO bricks. 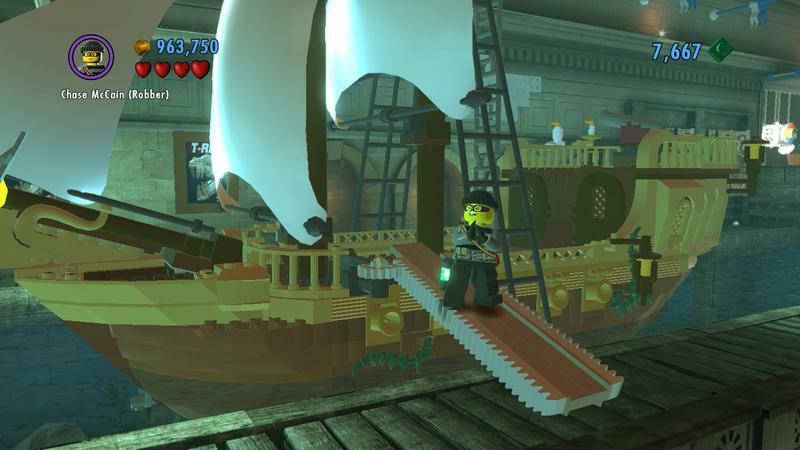 “Around 50% of the vehicles in the game are from existing LEGO sets,” according to Doyle. That means half of the vast assortment of vehicles in the game can already be built with stuff that you can find on store shelves (unless they’re of the rare variety). What about the other 50%? This is where things get cool (or, again, geeky). 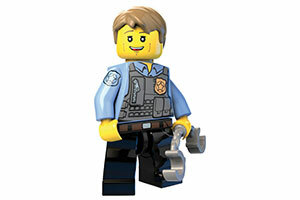 LEGO needs to make sure that the new vehicles in LEGO City Undercover are easy enough for kids to build. Even further, the in-game models need to meet the same quality standards that LEGO applies to their retail collections. That means they have to be sturdy, strong, robust and they’re not allowed to stretch parts. 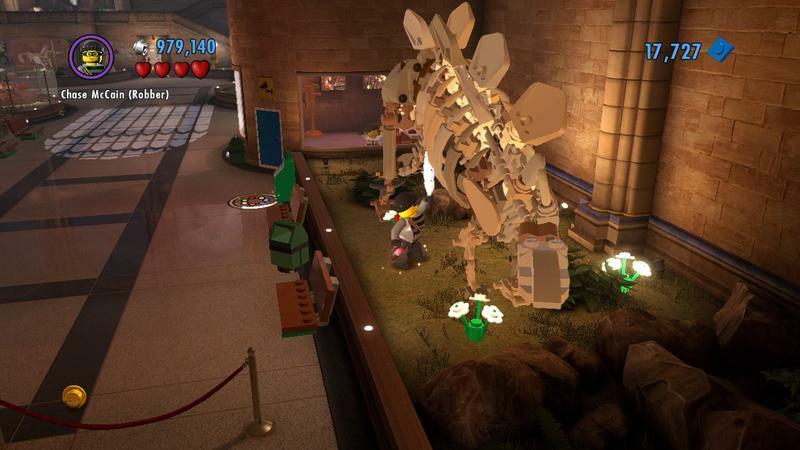 LEGO likes their models to be able to last a lifetime, and that applies to this new in-game stuff as well. How all of this translates to gameplay, of course, remains to be seen. 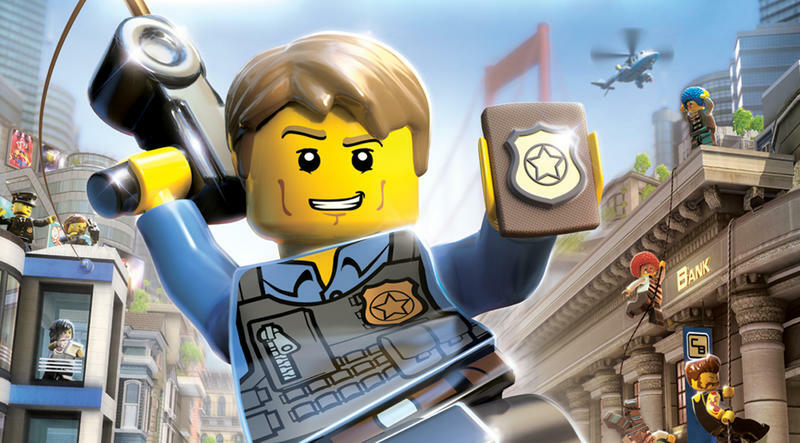 For now, we know that LEGO City Undercover will be huge. The Wii U version of the game looks to be the definitive one. It’s going to be much bigger, and, while Doyle confidently expressed that the team did a great job with the 3DS version, it seems like the Wii U as a pure console will make the big screen experience that much better. With that said, the LEGO series has already proved its merit to long-time fans. TT Games hasn’t put out a single bad title below the LEGO banner. Both versions will probably be great buys for fans, but we’ll follow-up on how they stack up as regular games once they release.